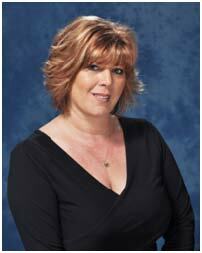 Today we welcome award winning author Marie Marley to The Purple Jacket. Yesterday afternoon I walked into Mary’s spacious room. Mary is a woman who has few visitors and who I’ve volunteered to spend a little time with every week. I greeted her, complimented her on her beautiful turquoise sweater and shook her hand. Then I sat down at her little table that was overflowing with books, photographs, the newspaper and other items she wants to keep close at hand. 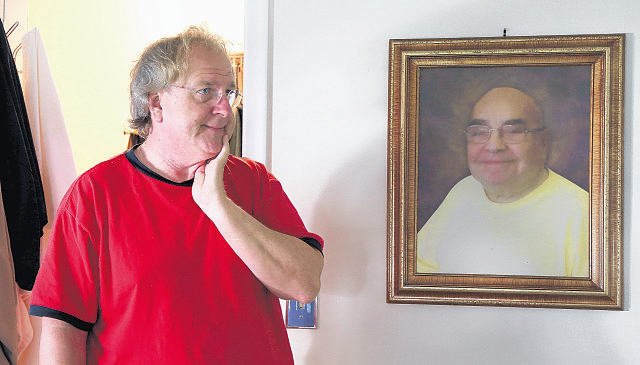 I started off by picking up a small framed photo of Mary with her husband and three children — two sons and a daughter. “Tell me about your daughter,” I said, using an open-ended question because they have no right or wrong answers. That’s a tip I picked up from The Best Friends Approach to Alzheimer’s Care by Virginia Bell and David Troxell. She continued by giving me several details about Connie and her family. I then picked up a photograph of Mary and her twin sister, Bernice, and she told me about how they took piano lessons together when they were children. After a few minutes, I asked her if her daughter ever played a musical instrument. “I don’t have a daughter,” she said matter-of-factly. When relating to a person with Alzheimer’s there are many guidelines to follow. I’m going to discuss five basic ones here: 1) Don’t tell them they are wrong about something, 2) Don’t argue with them, 3) Don’t ask if they remember something, 4) Don’t remind them that their spouse, parent or other loved one is dead and 5) Don’t bring up topics that may upset them. Don’t Tell Them They’re Wrong About Something: To let the person save face, it’s best not to contradict or correct them if they say something wrong. There’s usually no good reason to do that. If they’re alert enough, they’ll realize they made a mistake and feel bad about it. Even if they don’t understand their error, correcting them may embarrass or otherwise be unpleasant for them. Don’t Argue With the Person: It’s never a good idea to argue with a person who has dementia. First of all, you can’t win. And second, it will probably upset them or even make them angry. I learned a long time ago, when caring for my beloved Romanian soul mate, Ed, the best thing to do is simply change the subject — preferably to something pleasant that will immediately catch their attention. 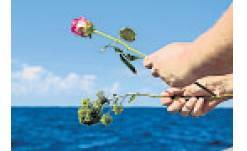 Don’t Remind the Person that a Loved One Is Dead: It’s not uncommon for people with dementia to believe their deceased spouse, parent or other loved one is still alive. They may be confused or feel hurt that the person doesn’t come to visit. If you inform them that the person is dead, they might not believe it and become angry with you. If they do believe you, they’ll probably be very upset by the news. What’s more, they’re likely to soon forget what you said and go back to believing their loved one is still alive. An exception to this guideline is if they ask you if the person is gone. Then it’s wise to give them an honest answer, even if they will soon forget it, and then go on to some other topic. Don’t Bring up Other Topics That May Upset Them: There’s no reason to bring up topics you know may upset your loved one. If you don’t see eye-to eye on politics, for example, don’t even bring it up. It may just start an argument, which goes against the second guideline above. You won’t prevail and it’s just likely to cause them anger and/or frustration. So there you go. A few guidelines for visiting. I hope these will be helpful to you in visiting your loved one and enriching the time you have together. Marie Marley is the award-winning author of Come Back Early Today: A Memoir of Love, Alzheimer’s and Joy and co-author (with Daniel C. Potts, MD, FAAN) of Finding Joy in Alzheimer’s: New Hope for Caregivers. 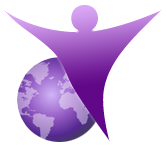 Her website (ComeBackEarlyToday.com) contains a wealth of information for Alzheimer’s caregivers. I will be the first one to admit that my caregiving journey did not include the special trails and tribulations when caring for someone who has dementia or Alzheimer’s. For many families, a diagnosis of dementia is an ending. For Deborah Shouse, it was a beginning, “My mother taught me how to celebrate and appreciate what we have right now.” Through her mother’s dementia, Deborah discovered compassion, deepening love, and increased connection with her mother and her family. Deborah Shouse is an author and dementia advocate. Deborah knows first hand that finding the connection with a love one afflicted with dementia is a challenge millions of people face. Too often, people living with dementia are entertained instead of engaged. 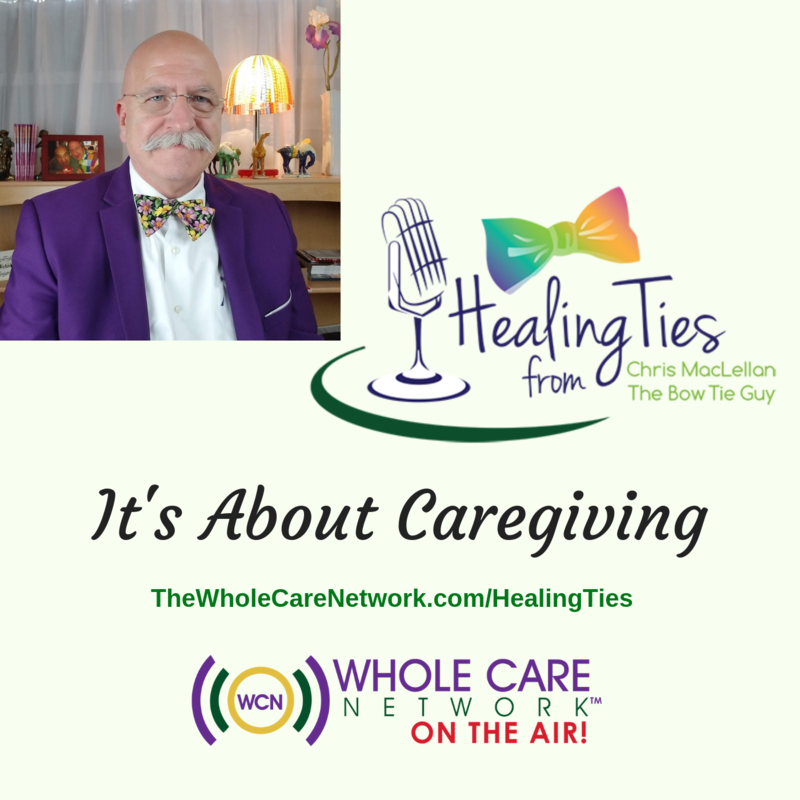 In this episode of “Healing Ties” Deborah talks about the differences between Dementia and Alzheimer’s while sharing her love and passion for those who care for someone with this insidious diagnosis. Listen in and learn how Deborah is creating “Healing Ties” all around us by finding love in the land of dementia. Every patient (Dementia or not) needs comfort. Bedding, chairs and sofas should all be soft and cozy enough for the patient to stay in. Discomfort can stress the patient very easily which can increase the adverse effects of the disease. Comfort is also provided through emotional support of the care taker, it is necessary to educate yourself about Dementia patients before taking care of them. Their mattresses should have a plastic covering as well as be fire retardant. 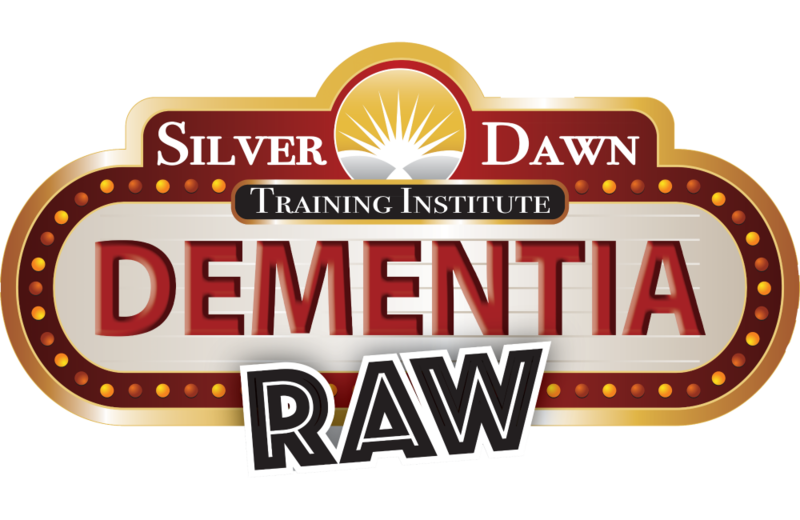 Here are some pages to get you started: How to properly deal with Dementia; Dementia nursing and caring tips. Most patients with mild cognitive impairment or even normal physical weaknesses tend to wet their beds. It is absolutely essential to stay absolutely calm as it is already a pretty shameful moment for them. To avoid this, adult diapers and catheters are necessary. Other than this, easy to use bathroom fixtures and fittings are something that can provide the patients and their care takers both, some ease. Also, there are several kinds of bath chairs with all proper washing functions available which can be placed in the bathroom. Get them here. Dementia is probably the second name for forgetfulness. It can make the patient feel useless, as they at some point are not able to remember important pieces of information, or even the insignificant things like names of different foods or what day it is today. So to help them remember the house should be ‘reminder friendly’ in ways that the patient is instantly reminded of basic things. Sticky Notes always come in handy, even for everyday life. Post them everywhere, especially near the bedside or work areas with whatever information that you choose to remind them. Large reminder boards can be placed on the wall, or the fridge, which can keep track of things like what time do they have to take their medicine, or how many times or pills do they have to take etc. If it is someone’s special day, like a birthday or a wedding anniversary, it can be easily posted on the reminder board in bold letters, which can allow the patient to be reminded of it every time they look at it or walk by it. You can easily by them from this store. Bold analogue wall clocks can also be a good way for the patients to keep track of time. Large clocks with bold calendars are also available especially for dementia patients. Get them here. A smart way to stop the patient from wandering is to plant or paste arrows inside the house, or in the backyard to allow the patient to recognize where he has to go. As soon as he begins to wander, the arrows will prompt him with the path that needs to be followed. With Dementia in old age, many patients may develop blindness or cataract eventually leading lives with blurry vision. Usage of bright and bold colors in things that need to be highlighted such as their pill boxes or their food containers can help them locate and even remember it easily. On the other hand, for areas such as those meant for sleeping and relaxing, the colors should be light and pastel in order to provide a soothing effect for the patient. These bold and soothing colors can be integrated into walls, curtains, bed sheets as well as the carpets on the floor. Old age can cause a lot of confusion for the patient, especially if it is accompanied by Dementia. To reduce daily life confusion as much as possible, you can color coordinate their wardrobes, or pre pick out their clothes that they have to wear daily. Arrange their personal belongings or toiletries in a way that they are clear and visible right in front. Andrea Bell is freelance writer by day and sports fan by night. Andrea writes about tech education and health related issues (but not at the same time). Live simply, give generously, watch football and a technology lover. Find Andrea on twitter @IM_AndreaBell. Alzheimer’s disease is an illness that affects its victim at the core of their being. Memory and different mental functions are compromised in those who develop the disease, and ultimately it changes them in profound ways. The award-winning film, Still Alice, centers on the hardships that come with early onset Alzheimer’s and how they affect the victim and the people that surround them. In Still Alice, family, friends, and caregivers experience life with a loved one who, one day, may or may not even remember who they are. Alice Howland, played by Julianne Moore in an Oscar-worthy performance, is a linguistics professor – a true creature of words, ideas, and thoughts. After Alice encounters a period of memory loss and confusion, she is diagnosed with early onset Alzheimer’s disease. We follow her life as the disease gets worse and those around her start to become frustrated and lose hope. Still Alice shows the uglier and more difficult stages of Alzheimer’s as a person with it goes through stages of memory loss and personal deterioration. As the disease progresses, it begins to rob the victim of their dignity. Alice quickly loses the ability to perform daily functions and maintain personal responsibility and safety. Still Alice, still available on DTV and Google Play, vividly illustrates how one person can lose their former selves inside their mind and how their body can become a mere shell of who they once were. 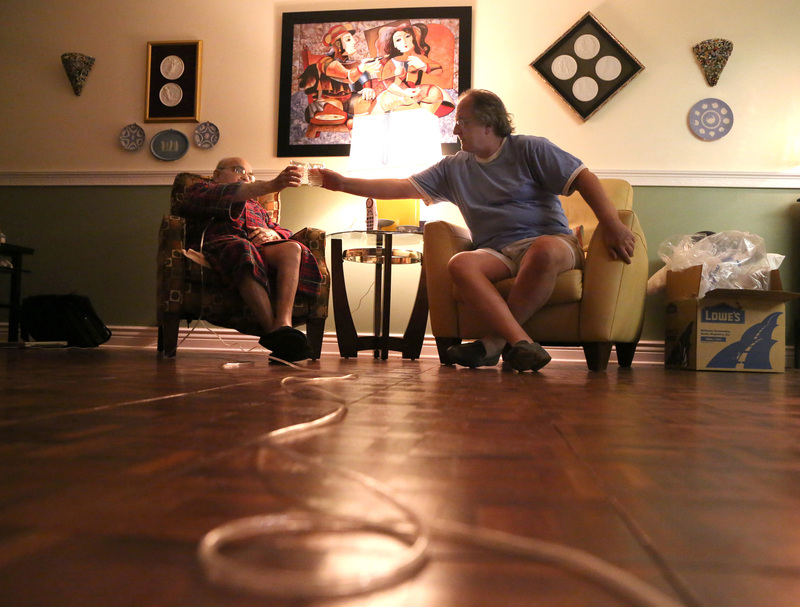 In a common real world situation, Alice’s family becomes her caregivers. Her husband John (Alec Baldwin), her daughters Anna (Kate Bosworth) and Lydia (Kristen Stewart), and her son Tom (Hunter Parrish) all deal differently with the diagnosis of their loved one. The family accepts Alice’s condition in ways that reflect their situations and their levels of fear and insecurity about this genetic condition. The fact that they must react to her condition both as a loving family, caregivers and potential carriers of the trait adds a distinct layer of tension to the plot. Directors Richard Glatzer and Wash Westmoreland portray the disease and its path of deterioration with precision and empathy for all concerned. There are days when Alice seems like she’s who she was before the diagnosis and days when she cannot find herself. Repeated imagery of waves on the shore captures the incisive feeling about the nature of the disease – a thing that comes in waves with no two quite the same but with the same impact. However, it is the human resolution that stands. Alice learns to live in the moment and savor life. Still Alice describes a painful descent from a lofty, comfortable, and productive life to one of searching for a most basic connection to the self. Alzheimer’s is a disease that robs one of past, present and future by breaking the connections with life events, time, and people. With effective use of imagery, photographic effects, and themes, Still Alice creates moods and very relatable scenes of the descent from high-powered professional existence. It follows a person who must struggle to overcome confusion in the simplest tasks and disconnection from the lives that matter so much. 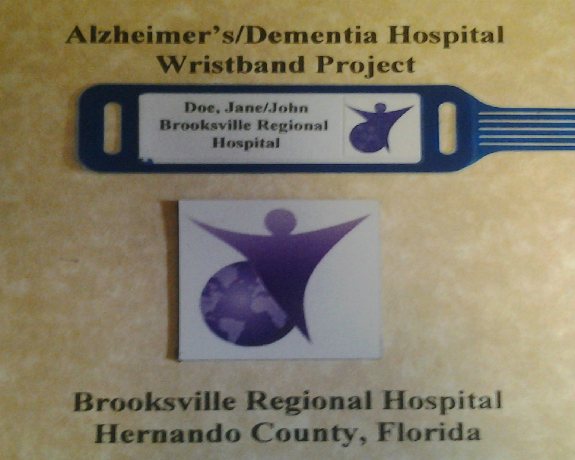 Join us on Tuesday August 27th at 1:00pm (est) for a conversation with Gary LeBlanc from Common Sense Caregiving, founder of the Alzheimer’s Dementia Wristband Hospital Project and Margaret Doerr, CEO of Nursing at Brooksville Regional Hospital in Brooksville, Florida. 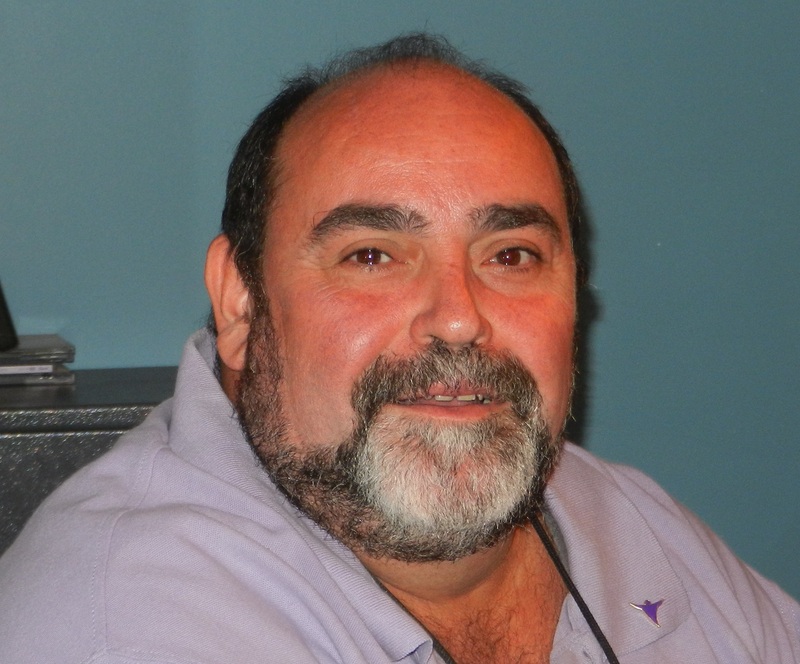 After enduring 3 nightmares hospital stays with his dad who was diagnosed with Alzheimer’s, Gary recognized that there needed to be a better way for staff to recognize the special needs of his father. On today’s show, we are going to talk with Gary and Margaret about how one, simple, identification bracelet can go a long way in providing comfort and security for patients, caregivers and a hospital staff. Yet this is more than just putting a bracelet on an Alzheimer’s patients: this project is about training, educating and recognizing the special needs of Alzheimer’s patients to an entire hospital staff! Gary’s project is a prime example of how Caregivers can have an impact on polices and procedures because Caregivers are always the ones in the trenches! 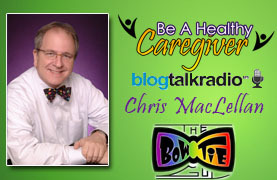 Through our conversation with Gary and Margaret, we will all learn how to ‘Be A Healthy Caregiver!’. Can’t listen to our show live…NO Worries! All our shows are archived for your listening convenience by clicking here! To learn more about Gary and the Wristband Project click here! To learn more about Brookfield Regional Hospital click here!